The unique project provides for creating a complete database of cultural values of Uzbekistan stored in the world collections. 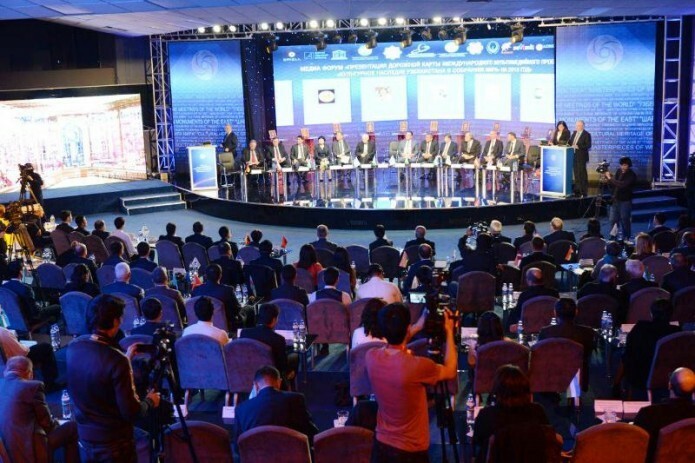 Tashkent hosted an international media forum dedicated to the implementation of the project "Сultural heritage of Uzbekistan in the world collections» on March 16. The unique project provides for creating a complete database of cultural values of Uzbekistan stored in the world collections. The database is to be created in the format of books-albums in three languages, catalogs, as well as video versions, creating a consistent virtual image of historical and cultural monuments of our country. 16 films have already been filmed within the framework of the project. As for the plans for 2018, it is planned to publish facsimile copies of the lifetime of the manuscripts of Alisher Navoi kept in the British, Russian and French libraries, the collection "Zafarnama" with colorful miniatures of the victories of the outstanding military leader of the Middle Ages, Amir Temur, manuscripts of the Spanish Ambassador Rui Gonzalez de Clavijo on the journey of Temur and others. The current media forum outlines the prospects of the project to publish 20 new books-albums on cultural values of Uzbekistan, which are kept in the collections of museums in the UK, Germany, Russia, USA, Turkey, Czech Republic, France and Japan. The first part of the books from the new series will be presented at a Special Congress in St. Petersburg. The Congress set to bring together 300 world scientists.